Coworking is a term that was unofficially defined for quite some time, so it’s no surprise that many still don’t know exactly what it is! 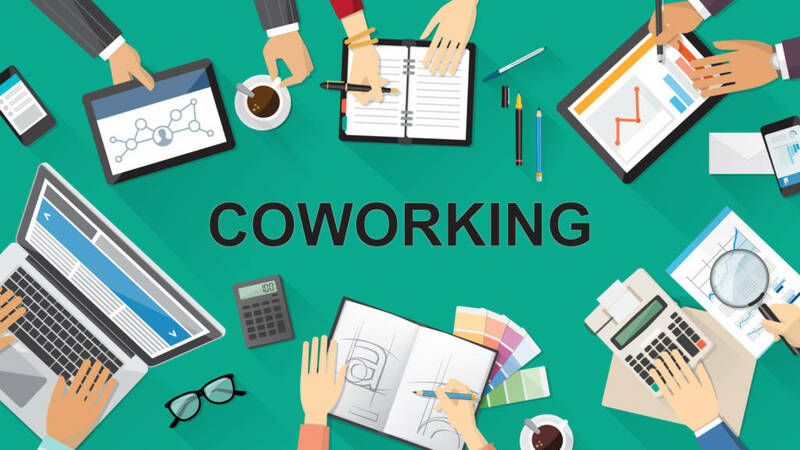 Coworking is a self-directed, collaborative, flexible and voluntary work style that is based on mutual trust and the sharing of common core values between its participants. Coworking involves a shared office space and independent activity. Typically, it is attractive to entrepreneurs, freelancers, startups, independent consultants, and remote teams. The history of coworking is quite interesting to say the least. It is a phenomenon that has quietly crept up over the last decade and is fast and furiously turning into a revolution! Back in the late 90’s a closely related concept was born in the tech industry called “hackerspaces” designed to bring tech professionals together in a non-profit space to collaborate and share ideas. With the boom of the internet, there was no longer a need for them to operate from a permanent location. Fast Forward to August 9th, 2005, Brad Neuberg opened the first official coworking space in San Francisco. And funny enough, that day is now officially coined “National Coworking Day”! Just a few short years later and cowork spaces have popped up around the globe. A most notable Coworking organization called WeWork has taken the industry by storm. What are some of the top benefits in joining a coworking space, you ask? Cost Efficient: Coworking spaces are much more affordable than opening your own office or brick and mortar offering affordable monthly rates. Flexibility: Most spaces have multiple options for length of membership. 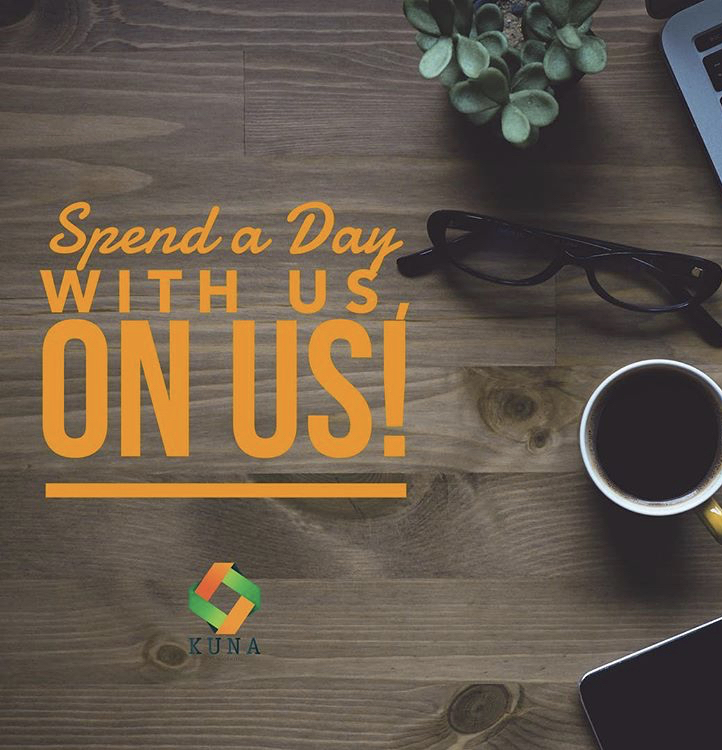 Kuna’s private office memberships include options as low as 3 months, and our community memberships are month to month. Collaboration and Networking: working from home can quickly lead to isolation. Not only does a coworking space invite the opportunity for networking, but collaborating on projects could lead to opportunities for learning, business, referrals and more. Most cowork spaces, including ours also offer members free invitation to public events held at our space. Distraction free zone: Kuna Coworking is designed with you in mind. We have an open community space for collaboration and a quieter space if you have a deadline you need to meet or just need space to focus. Amenities: from unlimited keurig coffee and filtered water to high speed internet, copying and printing, business address and mail handling these are the multitude of things you wouldn’t always have access to working from home or a coffee shop! Some very interesting statistics show us that coworking, in fact, is not a fad, nor is it likely going anywhere anytime soon. According to Allwork.Space.com coworking has become “the new normal” with these stats to prove it! There are currently 14,411 coworking spaces in the world today. The number of coworking members will rise to 3.8 million by 2020 and 5.1 million by 2022. 84% of people who use coworking spaces are more engaged and motivated. These statistics, and more like them, prove that flexible workspace has become the workplace of choice. With the explosive growth we have seen so far, It’s pretty easy to see why there has been such a major shift in the last decade from the boring office cubicle to open, modern spaces that foster collaboration and networking. Some would call it a revolution! Kuna Coworking is a Jacksonville community based, shared office space designed with you in mind. The entrepreneur, the lean team, the digital nomad or the hot desk designer, we are the space for you. We like to think that we have the place where getting work done is fun. Some of our clients have been with us from the start and others just for a day but the environment we built is here for your success. Come see what Kuna is all about. Your first day is on us!